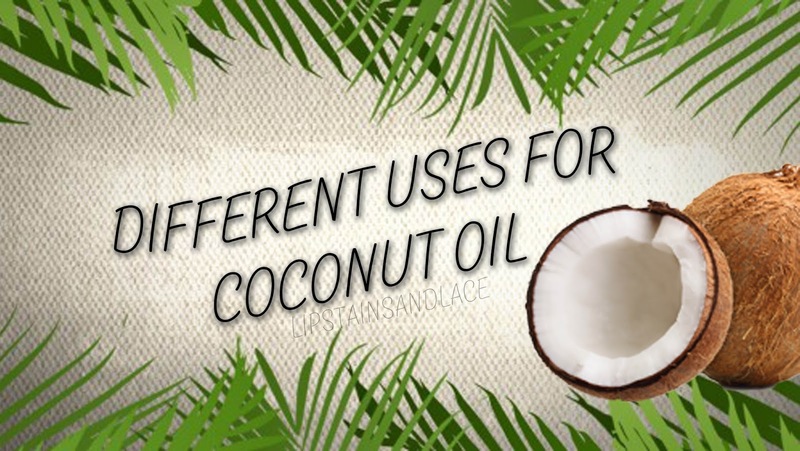 So recently I've been using coconut oil for a number of things and I decided that I'd write a blog post to tell you how many things you can use it for! Rub some into clean skin and let it dry in. Your skin will feel so smooth afterwards! Wipe some coconut oil onto a cotton pad and use to wipe away any makeup from your face. Rub into the ends of wet hair to minimise split ends, leave it sit for about 5-10 minutes and then rinse. Apply to all your hair for silky, smooth hair. Rubbing some coconut oil onto your lips can help sooth and hydrate dry, chapped lips. Putting some coconut oil onto your cuticles and nails can help strengthen and hydrate your nails. By mixing in some sea salt or sugar with some coconut oil you can make a body scrub that will leave your skin feeling super soft! All out of shaving cream? No problem, just rub some oil onto your legs (while dry) shave, and your legs will be left feeling smooth and silky. Coconut oil can be used as an alternative to butter or vegetable oil when you're cooking and is less fattening and much better for you. By rubbing some into areas that you have stretch marks, studies have shown that using coconut oil has helped prevent stretch marks. Rub some into the affected area and leave it to dry. By using coconut oil over a period of time it can help improve and sooth psoriasis and eczema. Placing some onto sunburn can help speed up the healing process of sunburn. By placing some onto a cloth and rubbing it into leather it can help soften, condition and clean leather. Mixing some coconut oil into warm tea can help cure and sooth a sore throat. Run out of deodrant or forgot to take some with you? No problem, coconut oil can also be used as a natural deodrant! Rubbing some into your hands can help soften any dry skin on your hands. Apparently by placing some on a coldsore helps speed up the healing process of a coldsore. Mixing some coconut oil with tea tree oil can then be used as bug spray to keep any annoying bugs away during the warm weather. Applying some to any acne or blemishes you may have can help reduce redness and can help clear up any problem areas of your skin. Placing coconut oil on a cut or a wound can help speed up the healing process. See my blog post on how you can make your own lipstick using coconut oil by clicking here. There are so many more uses for coconut oil but these are just a few that I thought would come in handy for everyone. You can buy coconut oil in almost all pharmacies nowadays as well as some health shops, or you can buy a large 500ml jar of Optima Organic Raw Virgin Coconut Oil on sale for €9.99 (as of 15/06/2015) from Evergreen Health Foods by clicking here.